Retirement doesn't come easy for professional athletes. The body says it's time to hang it up, you finally give in, and then you realize — what's next? When will I ever be the best at something again? Not to mention the guaranteed millions of dollars. So after taking a little break and letting the body heal, guys tend to get a little restless. 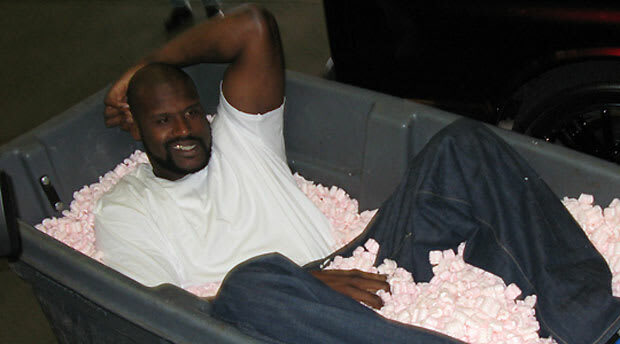 Sure, Shaq has plenty to fall back on. He's got the police thing and the "acting" thing and he could easily get a spot on "Inside The NBA" or ESPN. But will that be enough? Will jousting with Charles Barkley in the studio be as satisfying as banging with him in the paint? Shaq's only 39, and the center position is still weak. Why not?